Visit the official website of NPAT. Enter NPAT ID and Date of Birth and click on submit. Download the NPAT scorecard and keep it until the admission process is over. Dates: NPAT 2019 result is expected to be declared in the first week of June. Checking: Candidates have to log in using their NPAT User ID and Date of Birth to check their result. List: After the declaration of NPAT result, the concerned authority will declare the Merit List, Call Letter & Admission Letter for various courses. Note: The NPAT Results will not be sent to the candidate by mail or any other means. Step 1: Firstly, you have to log in to the official NPAT website. Step 2: In the next step, click on the "Results" tab. Step 3: Click on the desired program. Step 4: Enter your NPAT user ID and date of birth as the password. Step 5: Verify the captcha. Step 6: Click the "Submit" button and check your NPAT result. Percentile Score obtained by the applicant. Firstly, visit the official website of NPAT 2019. Click on the link “Download NPAT 2019 Answer Key”. Answer key with each course and the set will be displayed. Click on the concerned course link. A new tab with answer key in PDF format will open. Candidates can save the file for future references. Candidates can check the NMIMS NPAT 2017 result for MBA Pharma Tech (B.Pharm + MBA) on 30th May 2017. Result for its different courses will be declared on different dates. The exam conducting authority publishes the result through online mode. 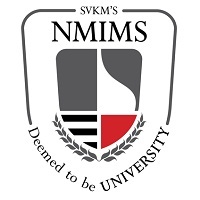 On the basis of the performance of the candidate in the entrance exam, the NMIMS NMAT Merit List will be made. Candidates will be called for the counselling on the basis of merit list. Should I enter my date of birth to check my NPAT results? Yes, candidates should enter their NPAT ID and date of birth to access their results. I am an NPAT aspirant. May I know the stepwise process of checking Results of NPAT 2017? The Results to NPAT will be available on the Official Website. Click on the desired program. Fill in your NPAT ID and date of birth. Click "Submit" and check your NPAT result. Can I get my NPAT 2017 Results through e-mail if I have lost my User ID? The NPAT 2017 Results will not be sent to the candidate by mail or any other means. When can an NPAT 2017 candidate get his results and how? NPAT 2017 Result will be declared on 2 June 2017 on the official NPAT website. The NPAT results can be checked from the official website with the use of Candidates NPAT Application number. May I know some Important key points regarding NPAT 2017? The Merit List for NPAT 2017 will be prepared only on the basis of the marks scored by the candidate in the NPAT exam. The first round of NPAT merit list will be released on June 02, 2017. In case seats are left vacant after counseling and admission process, another round of merit list will be prepared. The second round of NPAT merit list will be released on or after June 13, 2017. The process will be repeated only if seats are still left vacant. When will the date for the second round of NPAT 2017 merit list will be released? The second round of NPAT 2017 merit list will be released on or after June 13, 2017. The process will be repeated only if the seats are still left vacant. When will the first round of the NPAT 2017 merit list be announced? The Merit List for NPAT 2017 will be prepared only on the basis of the marks attained by the participating candidate in the NPAT 2017 exam. When is the result for NPAT 2017? 1. NPAT 2017 Result will be declared on 2 June 2017 on the official NPAT website and candidates have to log in using their NPAT User ID and Date of Birth to check their result. 2. The NPAT results can be checked from the official website with the use of their NPAT Application number. 3. The NPAT Results will not be sent to the candidate by mail or any other means. How can I check my NPAT results? The NPAT results will be available on the official website. The results can be checked by entering the application number.